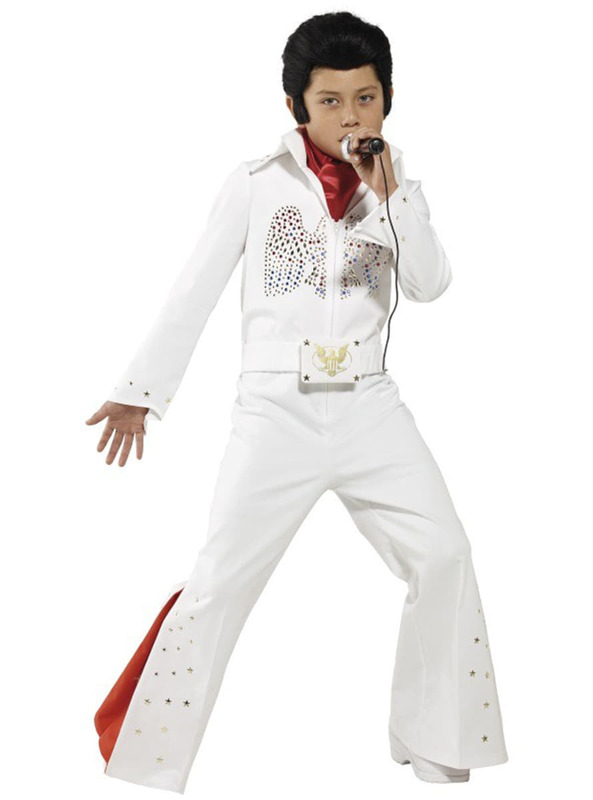 Includes a beautiful white jump suit with large lapels on the neck, elephant leg and red scarf. Upload your photos to Instagram with the hashtag #funidelia followed by #funidelia11669. 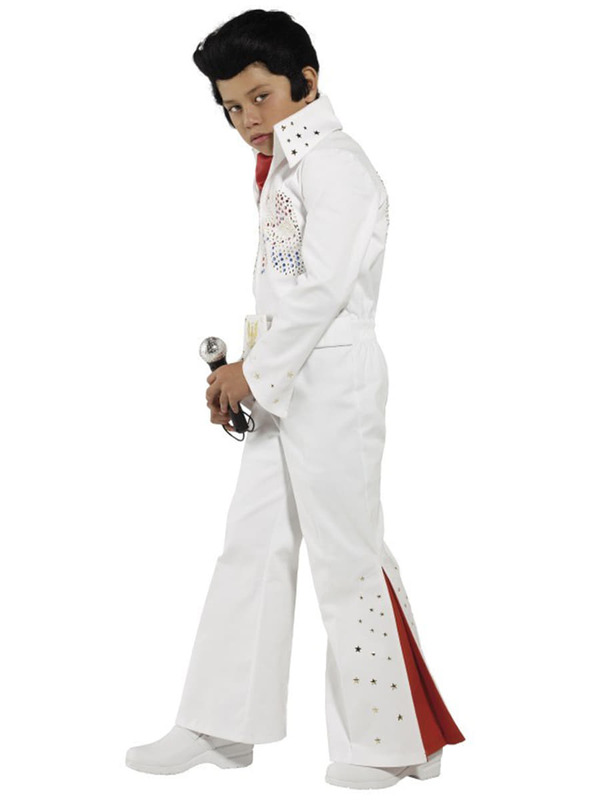 Product Rating: "Elvis Presley Costume for Boys"